What is modify-from-same-link access permission? 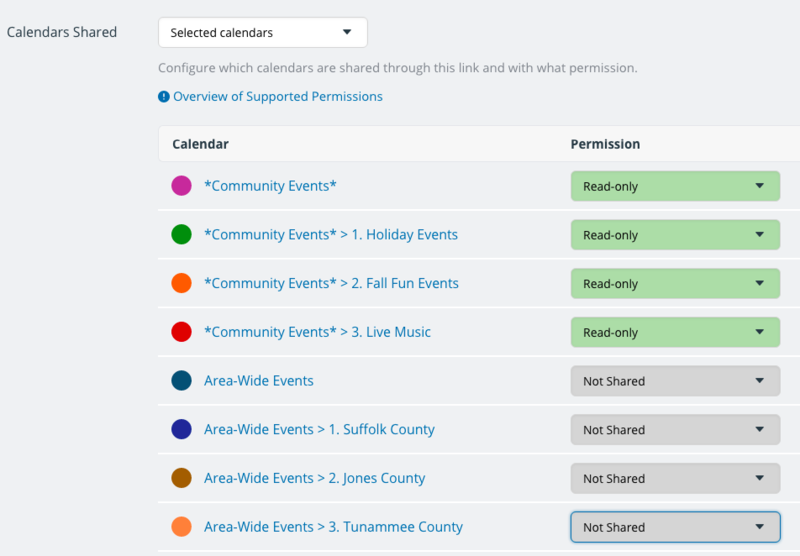 With Teamup calendars, you can share your calendar with others via unique calendar link. For every calendar link, you can set the level of access permission.For every calendar link, you can set the level of access permission. There are nine different levels of access permission. 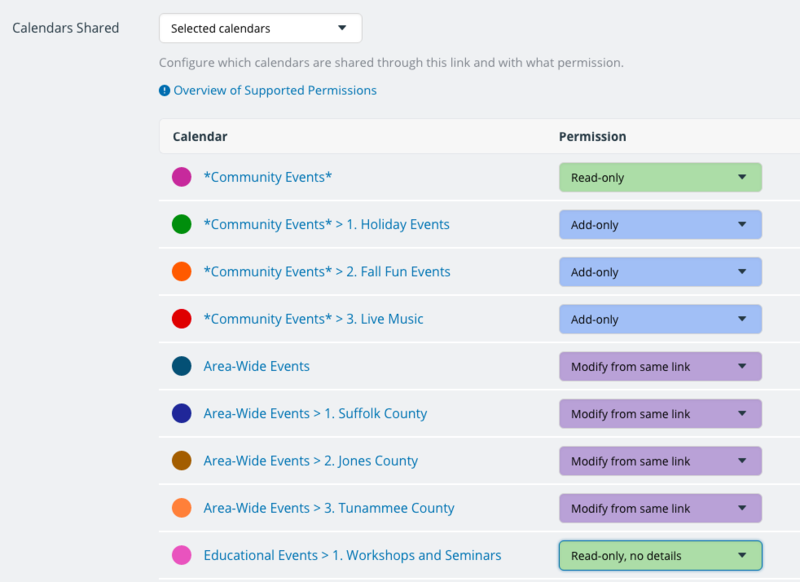 The modify-from-same-link access permission is a unique permission that allows a user to create and modify events on the sub-calendar, but only from their own calendar link. They can see other events on the calendar, but not modify them. You can view all events and event details on the included sub-calendar(s). You can add new events. You can modify or delete the events that you have added. You cannot modify or delete events that someone else has added to the calendar. Events that cannot be modified (events created by other calendar users) will have a small lock icon on them to indicate that they are read-only and cannot be modified. This is a good access permission to use when multiple people need to add and update calendar events, but you do not want one user to delete or change another user’s events. For example, if you have a shared “Vacation/PTO” calendar for staff members, you can use the modify-from-same-link access permission. Then all staff members can see each other’s vacation or PTO as scheduled, but cannot change or delete it. They can all add their own vacation requests, and modify them as needed, but cannot modify each other’s requests or scheduled PTO. The modify-from-same-link, no details access permission adds another layer of protection to your calendar. It prevents the calendar user from seeing any details of events created by others on the calendar. You can modify any existing events that you created via the same link. You cannot see the details of any events created by others. These events are simply marked as Reserved.